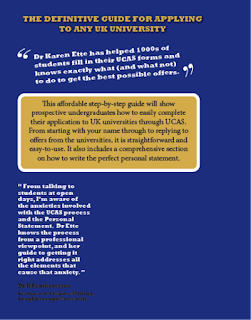 This up-dated guide for 2018 entry would be an enormous help to anyone preparing to apply to be an undergraduate at a university in the U.K. They would really benefit from reading this inexpensive book and it does exactly what it says on the cover - guide applicants every step of the way from registration through to sending off the completed form and accepting and declining offers. 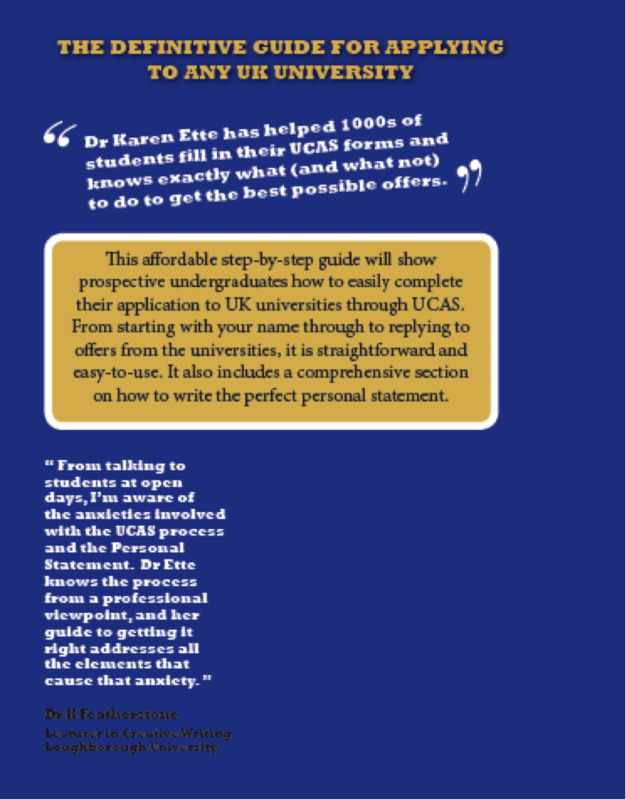 It's affordable, accessible and indispensable for assisting with that step from sixth form to undergrad. It is full of tips and information in a straightforward, easy-to-follow guide. A small price for a huge piece of helpfulness. I know from experience how stressful a time it can be for young people; I've even known students refuse chocolate treats because they were too worried about completing their UCAS form. There are also endorsements and helpful comments from university lecturers. The paperback version (£4.99) is available by clicking here and there are even some pages for your own notes. The ebook is available (£1.99) for download to Kindle - or free if you have Kindle Unlimited. If you haven't got Kindle yet, you can easily get the Kindle app for your tablet or smart phone.